Product prices and availability are accurate as of 2019-04-17 15:31:18 UTC and are subject to change. Any price and availability information displayed on http://www.amazon.com/ at the time of purchase will apply to the purchase of this product. As four leaves clover symbolizes good luck, this pendant is further designed with heart shaped leaves in wishing wearer the best luck with all your heart. 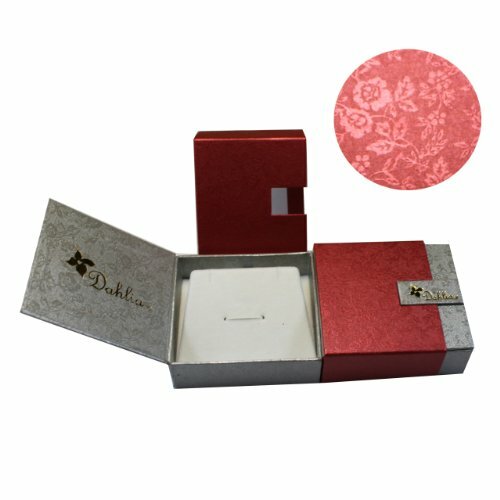 It makes a perfect gift to your mother, valentine and siblings. This necklace is set with heart shaped authentic Swarovski Elements crystals and 23 gradual color Czech Rhinestones. With its patented cut, Swarovski Elements crystals have far more facets than other crystals to optimize the light reflecting, resulting in more brilliant crystals which is why it is more expensive than other crystals. 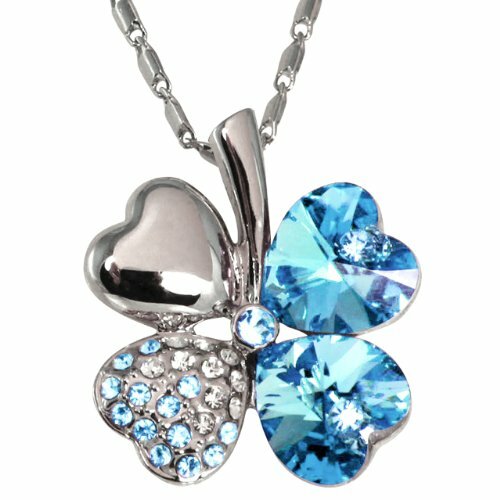 It is made with Swarovski Elements crystals but is not a Swarovski brand jewelry. The mirror surface on this necklace has sleek and glamorous reflections and adds a luxurious fine jewelry look. It's accomplished through intricate steps which can only be done by highly experienced workers. 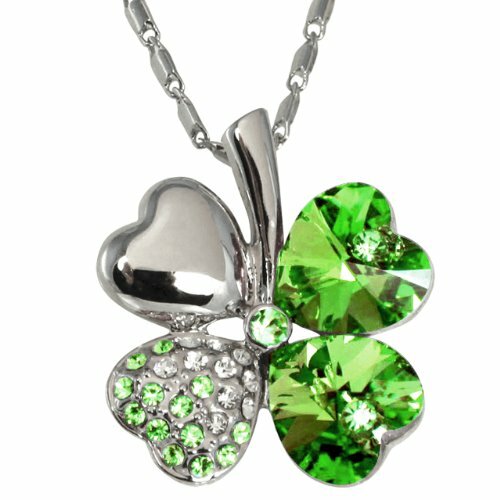 The pendant measures 0.87 inch wide and 1 inch high and the necklace is 16-18 inches long with a 2 inch adjustable chain tail. 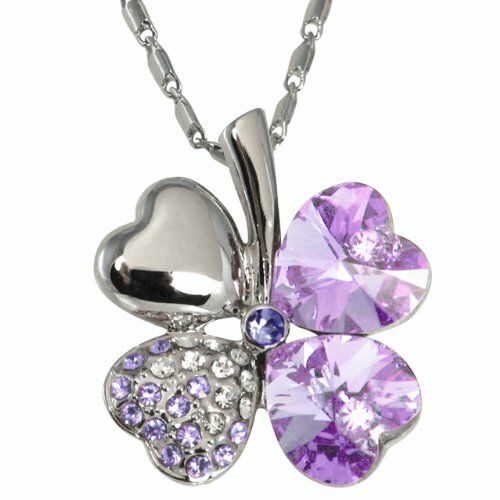 This pendant necklace is available in 5 colors: Blue, Green, Pink, Lavender and Purple.